There are several options to start with HANA Express Edition (or shortly HXE). 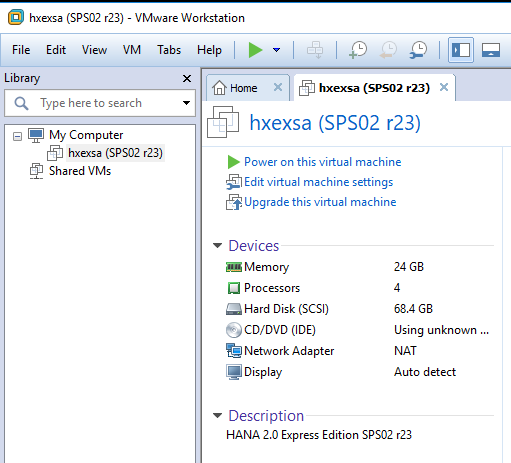 My favorite is to use the vm based version of HXE, because it is very convenient and fast to setup. You can have it besides your normal development environment, which is another advantage. I had to switch from my MacBook to a Windows machine because the maximum 16 GB RAM of the mac were not enough to run the HANA VMware image in parallel. Enough available memory is the main precondition for this development approach, if you not have at least 16 GB free memory, I would propose you run HANA Express in one of the possible cloud options (AWS, Google or Azure). What do you need to start! Good hardware with enough RAM! I use a IntelNUC with 32 GB RAM and a fast SSD (with min. 80 GB free disk space). 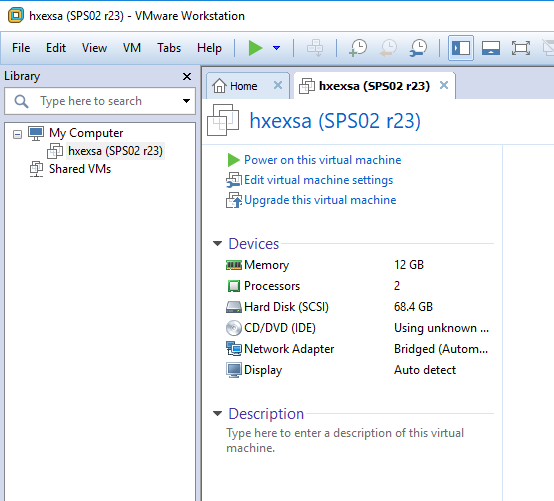 A Hyperviser like VMware Workstation or the „free“ VMware Player. Go to HANA Express Landing Page and register for a free download. After the registration you can use the Java based Download Manager to retrieve the necessary files to setup your HANA XSA system. The steps to download the files are straightforward so I skip any details. Basically you only need the file „hxexsa.ova“ (with around 12 GB size). 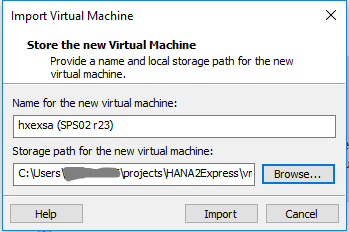 More details can be found in the Tutorial „Installing SAP HANA 2.0, express edition (Virtual Machine Method)“ or in this video. But stop! Before you start the image the first time you should adjust the virtual machine settings. 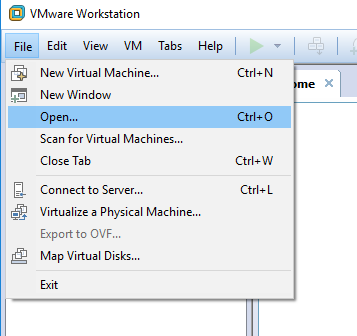 The initial settings of the VM are a bit to optimistic from my point of view. Especially the default setting for Memory with 12 GB did not work out for me. This was in an earlier revision, but as I see many issues in the context of memory and installation on SAP Community, I do not want to give this another try. Memory 24 GB (instead of 12 GB)! 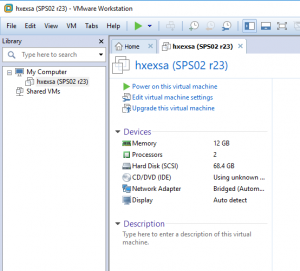 So let’s start up the VMware Image, which is based on SuSE Linux Enterprise Server (SLES) 12 SP2. Since revision 23 the HXE team provided two convenient functions while the setup phase of HXE. You can change the keyboard layout and the time zone. Especially the first setting is very important in the context of the necessary password change at the beginning of HXE setup. then carefully enter the new password (2 times). So we have the XSA Administration (com.sap.xsa.admin), the Portal Service, SAPUI5 Frontend server with SAPUI5 v1.44.26, the SAP WebIDE for SAP HANA, the auditlog, the job scheduler, HANA Runtime tools (com.sap.xsa.hrtt) and the HANA Cockpit. You are ready, start your HANA XSA discovery journey!